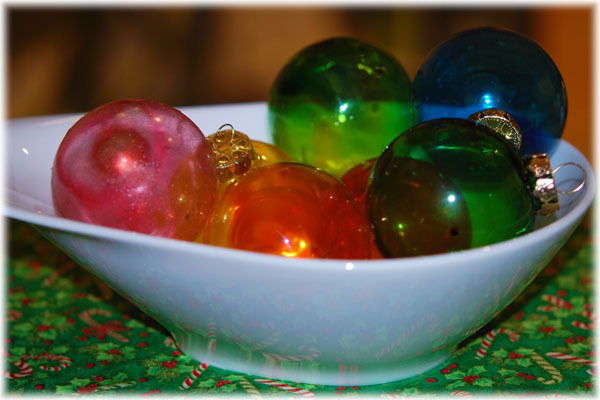 I love the look of thse baubles – they look just lovely all together in that bowl. These look lovely and with all those jewelled colours they are as stunning as a centrepiece as they are hanging on the tree. Beautiful baubles! I planned to have a go at something similar myself this year but haven’t got around to it. Maybe next year! Have a brilliant Christmas and best wishes for a Wonderful 2012. You make it all sound so easy even I am tempted to ‘have a go’. I wonder if mine will turn out as beautiful as yours. lol. Have a wonderful Christmas and don’t make too many impossible new year resolutions. First I thought they are jelly! What a lovely selection of colour – they look great sitting on a bowl as they are. Merry Christmas! What beautiful colours. Have alovely Christmas! Mrs A. again. Forget to say that yes I have read all the Raggedy Annie books. I loved them . how great! love the idea!